Four hundred years ago, a merchant spent almost twenty years—and all his life savings—to build a garden in order to please his parents in their old age. “Yu” means peace and health in Chinese. Over the past several centuries, the Yu Garden has been restored and reopened several times, but has almost always been in disarray. In 1956, the Shanghai city government took over and restored it to its former splendour, making it a peaceful oasis in the heart of bustling Shanghai. Outside the garden gates, the Old Bazaar is the perfect place to strike a bargain or chat with locals selling a variety of wares and souvenirs. This museum contains one of the finest collections of ancient Chinese art and antiques in the world. The distinctive building was designed in the shape of an ancient bronze cooking vessel, and contains 11 permanent and 3 rotating galleries. The museum has over 120,000 priceless pieces in its collection, including bronze, jade, ceramics, calligraphy, sculptures, paintings, furniture, imperial seals, and ancient coins. This fashionable pedestrian street is composed of traditional Shikumen (“stone gate”) style houses that now serve as boutique shops and restaurants. Tianzifang, once an unassuming laneway in a factory area, has been transformed into the art district of Shanghai. Here you will find many art galleries, private studios, craft shops, and some of the most charming bars and cafes in Shanghai. “Era – Intersection of Time” combines traditional Chinese acrobatic arts with cutting edge technology into a multi-million dollar extravaganza that redefines Chinese acrobatics. A wondrous futuristic world is created through the use of high-tech lighting and sound effects along with elaborate costumes and original live music. The ancient town of Zhujiajiao is built on top of the crisscrossing waterways that run from Dianshan Lake. The town is filled with every type of bridge imaginable, from wood to stone to marble, in differing sizes and unique styles. The town still has simple and elegant Ming and Qing dynasty (1368-1911) architecture that is quintessentially southern Chinese. Periodically, small wooden boats sail down the waterway, passing right under the eaves of the houses on its banks. In the afternoon transfer back to the hotel and free at leisure. In the morning transfer to Shanghai Airport and take flight to Chengdu. Jinli Pedestrian Street was once the commercial heart of the ancient Sichuan kingdom, and has been fully restored in the traditional style of the region. Here, you can sample local delicacies and bargain for local arts and crafts, or simply sit at a café and people watch along this picturesque, bustling, and cheerful street. Wu Hou Temple was built in honor of the Marquis of Wu, an outstanding military strategist during the Three Kingdoms era (220-280 AD). The Centre has two types of 'accommodations' for giant pandas - the Captive Cages and the Semi-nature Enclosures. Most of the giant pandas in the Centre stay individually in the captive cages, which are in fact large enclosures, each consists of an in-door room and an out-door courtyard. The semi-nature enclosures are very large wild areas but protected by border fences. Those giant pandas that will soon be released back to the wild will be put in the semi-nature enclosures for a long enough period of time for them to adapt to the natural environment. 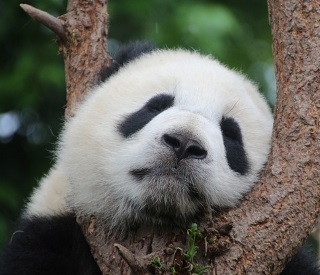 Although food has to be provided, the giant pandas will sleep there, eat there and recover their natural survival skills there until they can be released back to the wild. Upon arrival, meet your guide and transfer to your hotel. One of the world’s greatest archaeological finds, the Terracotta Warriors were discovered quite by chance in 1974 by a group of peasants digging a well outside of Xi’an. These sculptures of soldiers, chariots and horses were funerary statues made to accompany China’s first emperor to the afterlife over 2100 years ago. Legend has it that it took 100,000 men 38 years to create the soldiers, which all vary in rank, posture, height, uniform and facial features. The city walls of Xi’an are some of the oldest and best preserved in all of China, and can be dated back to the 2nd century BC, when Xi’an was the capital of the country. The existing walls were completed in 1370 AD, and are about 14 kilometers in length and are still surrounded by a deep moat to this day. Since 1993, the Xi’an city walls have played host to a world famous marathon where participants run along the entire length of the wall several times; however, on this tour we’ll take a more leisurely pace to appreciate the spectacular views and rich history of this ancient structure. This performance showcases the music and dance of China’s Golden Age, the Tang dynasty (618-907 AD). Recreated from historical records, artwork, relics and artifacts, the traditional instruments, hairstyles, dances and brilliant costumes of the Tang era are brought to life in this wondrous and highly entertaining performance. Before the show, guests are served a selection of nearly 100 different types of delicious dumplings. After show, transfer back to your hotel. Beijing’s Hutongs are alleyways and houses of traditional Beijing. Riding in a pedicab through this area is like taking a step back in time. In Imperial days, everyone lived around the Imperial City in low-rise courtyard style houses – often with the whole extended family living in one courtyard compound. Although many have been torn down to make way for high-rise office and apartment buildings, those remaining offer a glimpse of old Beijing. Family homes, markets, shops, schools and all manners of city life can seen here at street level. This impressive compound was once the home of China’s royalty, and has many palatial features hidden in its beautiful architecture. In 1694, Emperor Yongzheng converted it into a Tibetan Buddhist monastery to show his respect for the Dalai Lama. Inside one of the pavilions, you will find a Buddha standing over 85 feet tall that was carved from a single trunk of white sandalwood. This tranquil park is often a favorite stop for visitors to Beijing, as it provides them with an authentic look into local life in this city. On any given day, it is possible to see enthusiastic groups of Beijingers practicing Tai Chi, playing traditional instruments, or singing Peking Opera. The grounds consist of a sequence of buildings and altars set in beautiful groves of cypress trees. Learn more about the fascinating history behind this massive, circular structure and see local life unfold before your eyes in this very special visit to the Temple of Heaven. Then go to Hongqiao Market for shopping. As its name implies, this market is famous for its pearls, in an immense variety of colors and quality. The Forbidden City was completed in 1420, and was home to 24 emperors, the last of which left Beijing in 1924. The entire imperial complex is reputed to have 9999 rooms, which at its peak housed up to 10,000 people, including the imperial family, 3000 eunuchs, as well as maids and concubines. Discover for yourself why the 170 acres were forbidden to common people as you stroll through what is arguably the best-preserved example of classical Chinese architecture in the world. Prepare to be overwhelmed by the sheer size of one of the world’s largest public squares, measuring in at 440,000 square meters (over 109 acres). As you walk from the southernmost part of the square all the way down its length, you will pass several monuments, including the mausoleum that houses Chairman Mao’s remains. The northern gate of the square features a portrait of the PRC’s founding father, and is also the gate through which you will enter the Forbidden City.